This excursion consists of visiting a natural wonder Saklikent Gorge and also Xanthos ancient city with is on Unesco's world heritage list. After a short journey we visit one of the most remarkable ancient city, Xanthos for an hour. 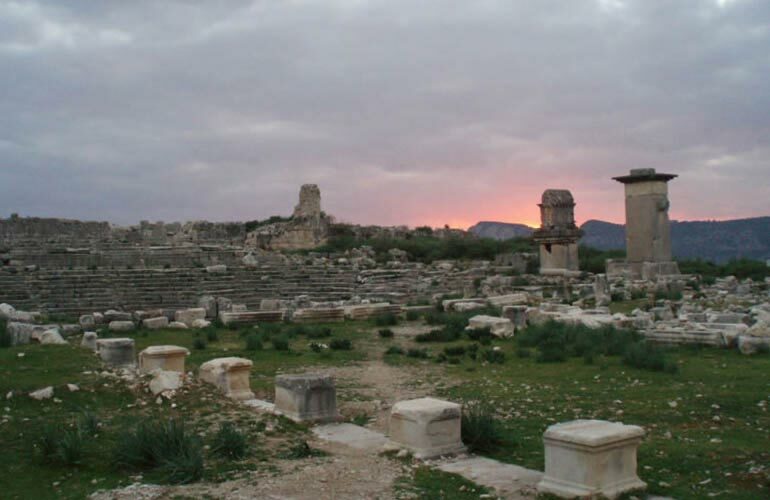 Xanthos city was a center of culture and commerce for Lycians and ruled by Persions, Greeks and Romans too. The city is UNESCO world heritage site since 1988 and two pillar tombs ( one of them known as Harpy Tomb), Great obelisk, amphiteathre, and Byzantine Basilica with mosaics are well-worth to visit. The city is also very famous because of commitment of mass suicides happened twice in the history. 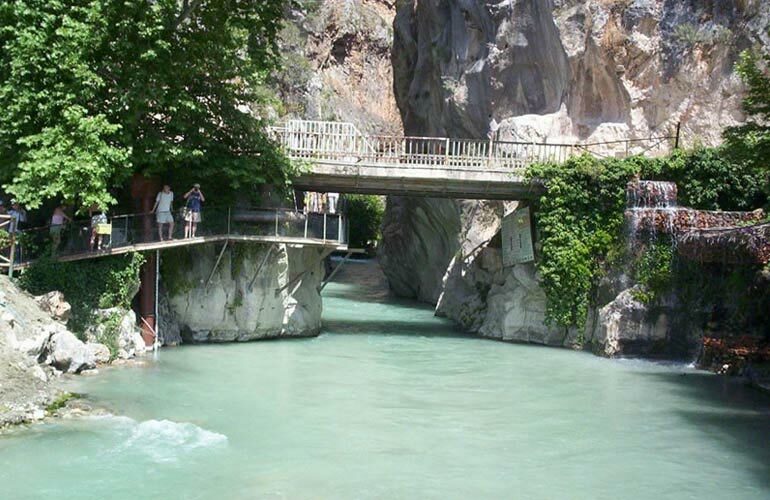 Saklikent Gorge is the longest (18 km) and deepest gorge in Turkiye, and the most famous one. 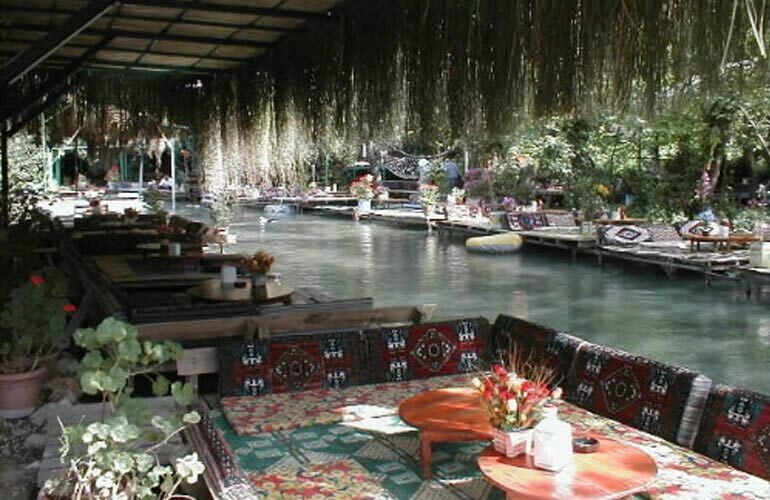 After visiting Xanthos our group will head to the Saklikent Gorge which is very famous in Turkiye. 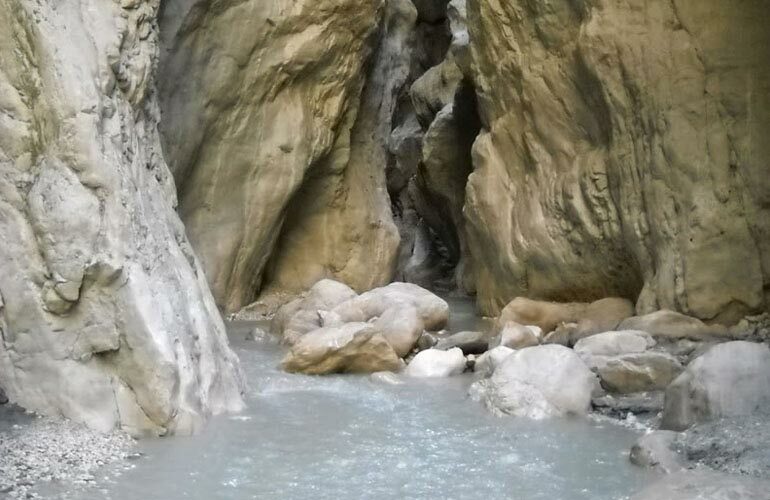 Only 4 km of Saklikent Gorge can be walked by non-professionals without equipments. It is preety cool inside of the Gorge as the water is cold spring water and it is shady. In summer days it is what everyone is look for. Naturally sculpted rock walls are amazing and walking in the gorge -sometimes in the water comes to knee and overcomming minor obstacles is a real fun. After the walk in the gorge Lunch will be served by the water, and it is included in our tour. Open buffet starters and choise of main course (chicken kebab, meatballs or fresh trout) are our lunch. After the lunch, we visit a local carpet workshop very close to Saklikent. After seeing how they are making the carpets and see few art work we turn back to patara by 16:00.
i went to Saklikent twice, and both were enjoy experiences. love to trek on the shallow water. the river-side restaurants and other nearby restaurants are great places to sit and enjoy the river in the scorching hot summer. you can enjoy a nice trout lunch too. i enjoyed it very much.